Every year here at HG Logistics, a third party freight broker based in Cincinnati, Ohio and our parent company Hill and Griffith, we like to give back during the holidays. Although we are not a large company by any means, one thing we do have that is big is our heart. During the holidays, Sarah, our Human Resources person emails out to gain an idea of what organizations we would like to aid. 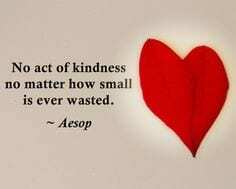 While we wish we could help everyone, we usually narrow it down to one or two. 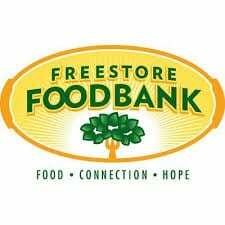 This year, we are proud to have selected to take food donations for the Freestore Foodbank here in Cincinnati. The Freestore Foodbank is a wonderful organization that feeds thousands in the Cincinnati area. Part of this organization is Cincinnati Cooks Catering, a full-service catering service that funnels their proceeds right back into the charity. So, if you are still looking to book a meal for your upcoming holiday party, check them out. You can learn more about the Freestore Foodbank at www.freestorefoodbank.org . HG Logistics LLC and Hill and Griffith are also proud to be collecting toy donations for Cincinnati Children’s Hospital. Many area families have children who are receiving services and/or treatment at Cincinnati Children’s and this is a way for us to extend our best wished to those families. This contribution is near and dear to the HG Logistics family, as we currently have an employee with a son who is receiving top-quality care at Cincinnati Children’s. If you are interested in donating toys, recommended contact informtation is: Anna Kuertz at [email protected] or 513-535-8760. If your office doesn’t already, please consider a tradition of holiday charitable giving for your organization this year. It is a wonderful opportunity to give to those in need within our community and to say thank you for the services that we receive and take for granted.